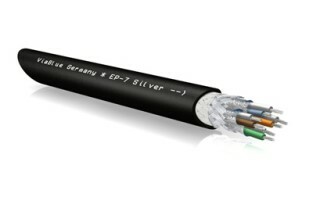 The ViaBlue™ EP-7 Silver Cat 7 cable network has silvered strands of high-purity OFC copper with a braided shielding and 4 aluminium PET film screens for the individual isolation pairs. 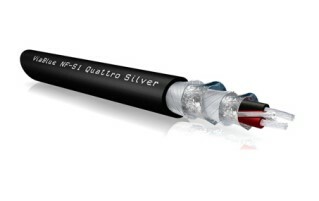 ViaBlue™ NF-S1 Silver Quattro Analogue high-end audio cable yields music with faithful reproduction at all frequencies. The sound is completely linear and undistorted. The silver-plating of both screens makes it possible to perceive even the most subtle musical variations in the high-frequency range with hi-fidelity. The goal is to play back music the same way it was recorded - without any distortion. NF-S1 performs this task exceptionally well. ViaBlue™ NF-A7 cables are high-end AF audio cables for connecting hi-fi components such as amplifiers, CD players, etc. Due to the special characteristics a comfortable brilliance, balance, as well as a finished and complete spectrum of sounds is achieved. Through a full shielding according to a three-membered shielding system, all electrical interferences are blocked. 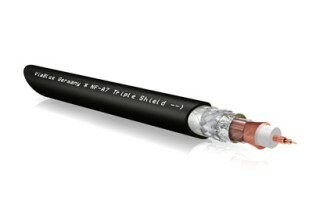 Through the ViaBlue™ Triple shield, the NF-A7 RCA cables have a full electrical shielding. All frequency bands of NF-A7 RCA cables are clearly and audibly described: Detailed highs, lower and more detailed bass, more details in the music playback, locating all instruments as well as isolation of the individual frequency ranges from one another. The very high quality mechanical construction with a 19 Cu-ETP- single wires conductor and surrounding foam skin PE dielectric is completed by a triple shield consisting of a spiral shield, a braided shield and a foil shield. ViaBlue™ NF-B subwoofer cables are specially designed LF cables which play the bass range with full acoustic power and pressure. The capacitance between inner conductor and screen is maximized by a very thick inner conductor. LDPE thermoplastic is used as insulation, thus increasing the capacitance even further for the same dimensions. This results in capacitive values of 128 pF/m. 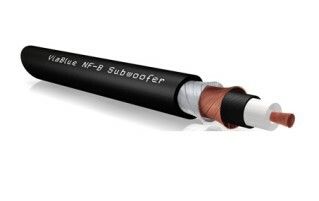 ViaBlue™ NF-B Subwoofer cables have been developed specifically for connecting subwoofers. Because the signal transfer focuses on the bass range it receives maximum boost so that the signal power is not degraded even over longer signal paths. Consequently, the subwoofers can be positioned to make the most of the room acoustics. The extremely thick inner conductor of the NF-B subwoofer interconnect creates a high acoustic pressure for subwoofers. The triple shield constructed from a double, reverse spiral wound sheath and the LDPE semi-conducting layer shields the massive inner conductor. ViaBlue™ NF-75 RCA S/PDIF interconnects are coaxial high-end digital cables with ideal electrical values. They enable error-free and correct transmission of digital signals. With a base line requirement of a 75-Ohm surge impedance, a polyethylene foam dielectric and a silver-plated shield are further applied as technical refinements. This leads to extremely low resistance values and thus to maximum transmission speeds of digital electric signals. The ViaBlue™ silver shield, NF-75 interconnects have a 100% surface casing shield from electrical interference fields. The screen is composed of an aluminum foil sheath and a silver-plated braided sheath. ViaBlue™ NF-S2 cables are balanced digital cables with impedance of 110 ohms. They are AES / EBU and DMX512 compliant. The symmetrical structure of the NF-S2 has two tin-plated 0.5 mm2 copper lines each with 19 strands (19 x 0.185 mm) and polyethylene insulation. As fillers two stranded PVC isolators are used. The double screening has an ALU-PETP foil shield and a silver spiral screen with fine 0.15 mm single wires. To protect the silver shield a fleece foil between the screen and outer sheath is present. The made-NF-S2 has an outer diameter of 9 mm. ViaBlue™ H-Flex optical digital fiber cables are optical high-end digital cables that transmit digital signals by fiber optics technology. Electrical interference fields thus have no influence on the transmission. The very high-quality inner optical wave guide is protected by a special soft plastic mixture. Directly over it, there is another thin, hardened plastic layer for stabilizing the position and fixing the sensitive inner construction. The thick outer shell protects these three inner layers from breaking or other damage. 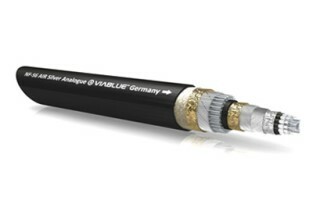 The ViaBlue™ NF-S6 AIR Silver Analogue cable is specifically designed for the transmission of analogue signals. 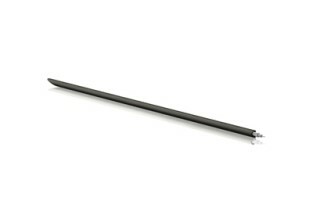 The designed cable, made up of 2x 6 individual signal conductors and a 6-fold shielding and 23 air pipes with a total cross section of 15 mm² therefore with a total diameter of 16 mm. The 2x 6 signal conductors consist of 19 silver-plated fine copper wires from selected, highly chemically pure and 99.99999% oxygen free copper and provide a clear, detailed and perfectly well rounded sound. The unique structure of the NF-S6 AIR Silver Analogue cable is specially developed by the ViaBlue™ air pipe system, an airspace system with a centre of individual conductors, which have been arranged in a circular arrangement. A six-fold shielding consisting of three laminated, gold foil shields and 3 conflicting strand coil shields, with a shielding factor of 100%, keeps away disturbances such as DECT or mobile phone, microwave, and humming sounds. 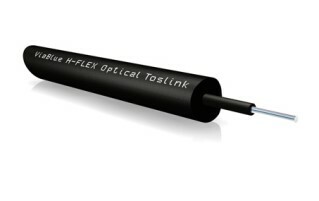 A soft banding and a flexible and satin mat sheath protect the entire cable system. 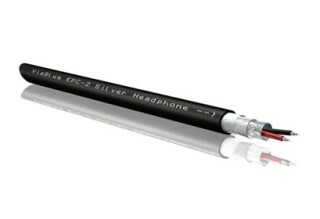 The NF-S6 AIR Silver Analogue cable can be used for both unbalanced (e.g. RCA connections) and balanced (e.g. XLR connections). Thanks to a nearly loss-free transmission of audio signals, the NF-S6 AIR Silver Analogue cable delivers a fascinating sound, even over long distances. The fine tuning of the individual frequencies of the complex ViaBlue™ air pipe system and the special arrangement of the individual signal conductors with fine silver-plated OFC copper promises a natural, realistic and accurate music reproduction with a clear sense of even the most acute detail. Individual musical elements are sharply defined and illustrated in impressive tones. The result is a large ambiance for free and airy musical pleasure.